This fall 2017, Give Back Yoga is proud to add a new offering to our family of yoga service trainings: 200 & 300-Hour Yoga Teacher Training Programs through The Hard & The Soft Yoga Institute, led by our co-founder and American yoga pioneer Beryl Bender Birch. For 200-hour certified yoga teachers who want to take their teaching to the next level, The Hard & The Soft’s 300-Hour Yoga Teacher Training is one of most highly respected 500-hour yoga teacher training certification programs in the country – inviting you to take your practice out into the world, and share yoga as a powerful evolutionary tool for change. Understanding & practicing yoga therapy. Mastering the often simple but powerful therapeutic applications of asana, pranayama, and meditation for a diversity of populations and conditions is an essential skill for yoga teachers in today’s world. Some yoga students are old, some are young. Some want simply to sleep at night, some want to get off drugs, some want to learn meditation, and some want to stretch their hamstrings or heal a sports injury. Knowing when to teach what to whom requires extensive knowledge about a vast array of yoga “tools” and how to put them together. 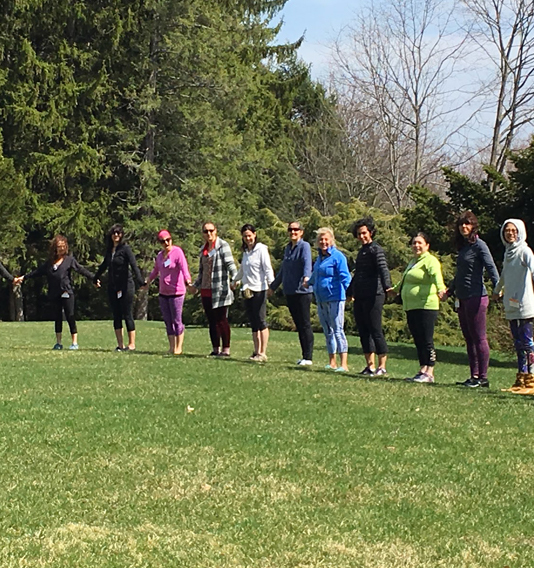 Whether preparing to teach conscious breathing to veterans with post traumatic stress, sun salutations to to cancer survivors, or meditation to athletes, our training gives you an opportunity to practice and experience a variety of ways to “teach” yoga. Honoring yoga service. Seva (service) isn’t something you do part time, or only on Wednesday afternoons – it’s a lifestyle and awareness you bring into every aspect of your life, and it is born out of your personal yoga practice. Yoga is an experience – an experience of connection and boundlessness. You can’t talk about it or learn about it in books – you can only have it – through practice! Once that experience of yoga happens, it changes you. 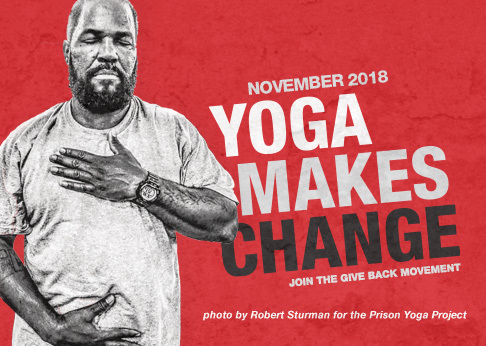 The realization comes that there really isn’t anything else to do with your life except to take your yoga out into the world, help others, and be of service to our planet and all its residents. We reach out not only through teaching traditional asana in traditional studios, but by connecting with and empowering the underserved and under resourced populations in our communities. Developing personal practice. The depth and skill of teaching comes out of a regular and dedicated practice. Many students are longing to go deeper into the internal world of meditation and pranayama or to explore the encoded teachings of the Yoga Texts. Others are longing to heal deep wounds or find peace in this chaotic world. You, as a 500 hour certified teacher, have the opportunity to guide these seekers on the next step on their journey – but only if you grow and deepen your own practice. When you practice, the whole world is depending on your dedication. We practice not only for ourselves, but to strengthen the collective unconscious and make it possible for all to aspire to higher meaning and awareness, and greater peace of mind and happiness. Join us on the journey of a lifetime, and share a practice that can help to heal our world. Learn more and find a training near you. Find a training near you, and apply to the program. We’ll reach out with an admissions decision. Choose a tuition plan before the program begins. Enter your email to get a free download of a pranayama practice guided by Beryl Bender Birch, and be notified when new trainings are added to our calendar. This rigorous course sets itself apart in many ways – namely, its comprehensive curriculum, which dives deep into the eight limbs while also including a rigorous anatomy course, class observation and a rich sutra study and dialogue. It has left me with a deeper practice and a more peaceful awareness and presence, along with the confidence to go out to teach classes. The Hard & The Soft program not only prepares you for teaching with confidence, giving assists and planning your own classes; it will change you, physically and mentally. A whole new level of consciousness has been revealed to me, and my gratitude is immense. This training is excellent on so many levels: the faculty, the structure, the diversity, the depth of the curriculum and the care for the greater community. Beryl’s books are an invaluable resource and her direct teaching is a gift to be savored. I am immensely grateful for the skills, knowledge, confidence and compassion I developed during this training.